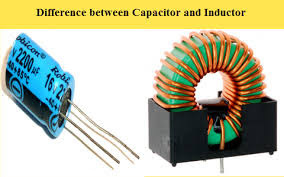 In this article we will know about the difference between inductor and capacitor. We know about the Capacitor and inductor main difference. 1. Inductor stores energy in form of magnetic field . Capacitor stores energy in form of electric field which is main difference between inductor and capacitor. 2. 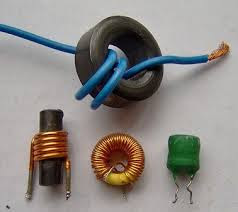 Inductor is a coil part which stores electrical energy in form of magnetic field. Capacitor is a device which stores electrical energy in form of electric field. 3. Inductor is a simply coil which stores energy in magnetic field. Capacitor is made of two conductor which is separated by dielectric. When a capacitor is connected to an electric circuit it start to store electrical energy. The capacitor is an electrical component used to oppose change in current in the electrical and electronics. 8. the inductor storing magnetic flux. 9. A component that follows that I = Cx dV/dt. A component that follows that V = Lx dI/dt. 10. A capacitor will hold charge and discharge current at a set rate. In case of inductor will induct (create) electricity through magnetic fields caused by running current through a cable with a conductive coil wrapped around it. Hence these are basic difference between inductor and capacitor. These are some difference between capacitor and inductor. For knowing more about the difference between inductor and capacitor you must watch this video.